Getty Images.British Prime Minister Theresa May. EU member states are reportedly willing to consider a Brexit deal which allowed Britain to remain in the single market for goods, according to a report. Member states would demand that the UK replicated all environmental, social, and customs rules in return, however. The EU’s chief negotiator Michel Barnier has previously ruled out such a deal. The UK parliament would be likely to reject such a deal on the grounds it would keep Britain too closely linked to the EU and limit the country’s ability to strike new free trade deals. LONDON – European leaders are ready to make a major concession to Theresa May by allowing Britain to remain in the single market for goods while opting out of the free movement of people. Some member states have said they could abandon one of the European Commission’s negotiating red lines in return for more concessions from their British counterparts, the Times reported. In return for allowing Britain to retain single market for goods membership, they would demand that Theresa May replicate all environmental, social, and customs rules in addition to those set out in her so-called Chequers proposals. The potential trade-off will be discussed at a special meeting of all 28 leaders in Salzburg next month. It marks the first major divergence between the European Council – made up of leaders from member states – and the European Commission. 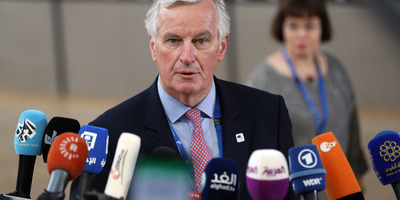 The Commission’s chief Brexit negotiator Michel Barnier has indicated that he would oppose British attempts to retain single market for goods membership, warning it would “undermine our single market” and represent an attempt to “cherry-pick” the best parts of the EU. But British officials say that Crown dependencies like Jersey already have a third-country status except for goods, meaning the so-called “Jersey model” has worked in practice for years. Sources negotiating between EU member states in Brussels said that European leaders would be willing to consider British proposals to remain in the single market for goods if she adopted all future EU environmental and social protections. “If May came with the Jersey model there would be a serious discussion among leaders for the first time,” a senior EU source told the Times. Will the Jersey model fly? The Jersey model appeals because it would largely avoid the need for any new borders to emerge between Northern Ireland and the rest of the UK after Brexit. But a Jersey-style final Brexit deal would almost certainly be rejected in parliament. May’s Chequers proposals were already deeply unpopular with many Leave-supporting Tory MPs as well as the electorate because they would keep Britain closely aligned with some aspects of EU membership. The Jersey model would keep Britain even more closely linked to the EU, and would bind Britain legally to adopt all future EU environmental and social rules whenever Brussels introduced new legislation. It is very difficult to see how the deal would survive a parliamentary vote considering the Chequers proposals – which did not contain such a provision – already look very likely to be rejected by MPs. A move towards the Jersey model would therefore limit the ability of Liam Fox’s international trade department to strike independent trade deals, and lead many to question what the purpose of Brexit was in the first place if the government’s trade policy continues to be dictated by Brussels. But discussions on issues of proper substance between British and EU negotiators would at least represent kind of progress after months of stalled talks and fudged proposals.